Another great cross phase Creative Challenge. 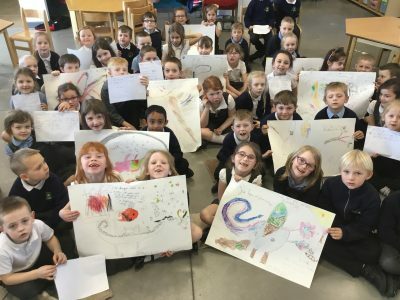 We brought the children together on Wednesday for a creative challenge based on ‘Tell me a Dragon’ by Jackie Morris. The children worked in mixed year teams to create their own page that would go together to form their own book. 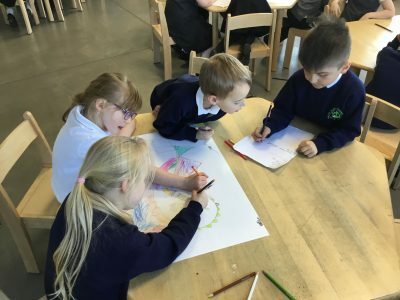 We want to give the year 1s lots of chances to work with the year 2s so they can see the sorts of opportunities and challenges that being in year 2 will provide. Activities like this provide fantastic contexts to begin that transition process.